Two people suffer minor injuries and the building at the corner of High and Sherman streets must be stabilized. A Portland building has been evacuated until it can be stabilized after it was hit by a truck involved in car crash Friday afternoon. 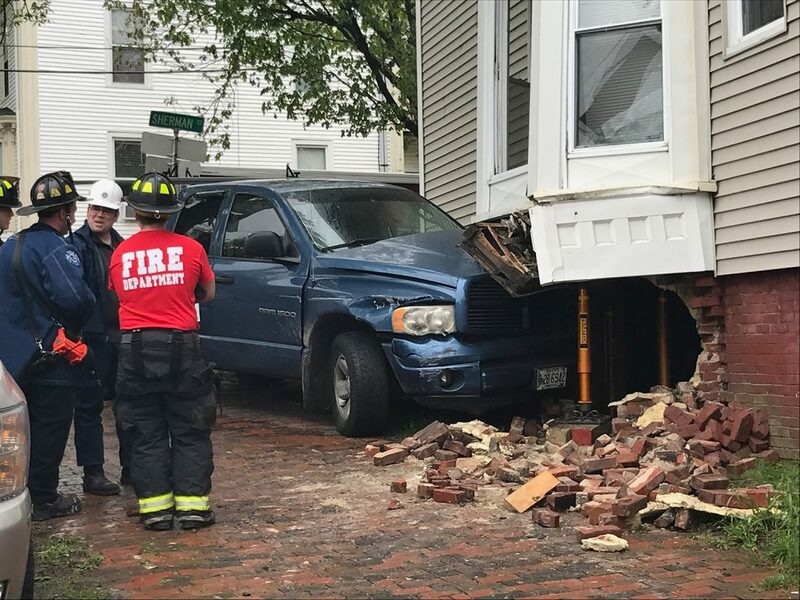 The pickup truck that hit the building at the corner of High and Sherman streets was one of two cars involved in a crash, according to Portland police. Two people were taken to a hospital with minor injuries. 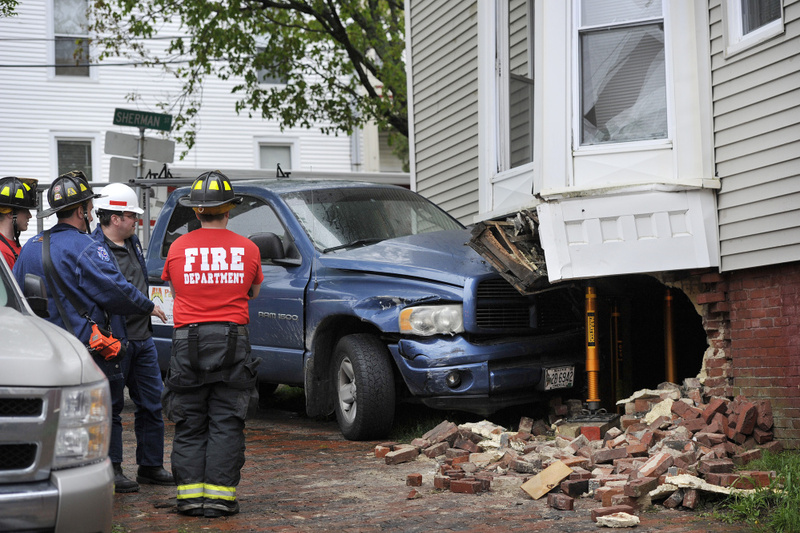 The impact of the truck caused structural damage to the building. Occupants of the building will be allowed to return once a wall is built to stabilize the structure.